A Sandals Honeymoon Package is the perfect combination for those seeking an all-inclusive style and a luxury experience. Located throughout the Caribbean, each Sandals resort has its own distinct feel and atmosphere that goes along with its destination. You can also take advantage of Sandals Honeymoon Hop incentive, where you stay at one of the resorts and enjoy the amenities of other nearby Sandals resorts. 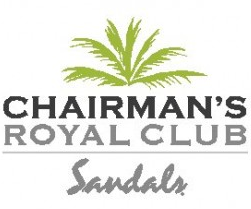 It’s like getting 3 different luxurious trips in one on the island of St. Lucia or Jamaica! Step 1: We Get to Know YOU! what are they interested in doing, seeing, or exploring? What would they rather avoid? With many different Caribbean islands hosting the Sandals Resorts, there’s a unique experience and price tag that each has to offer. Step 2: Creating the Perfect Package! We’ll continue to work with the couple and their budget to determine which resort is the best fit for them. From there, it becomes a matter of planning the fine details: choosing luxurious room accommodations, booking private candlelight dinners, selecting spa treatments, etc. Everything is tailored to achieving the couple’s idea of their dream honeymoon. A Bubbly Welcome – A bottle of chilled sparkling wine elegantly arranged in your room to toast your future. A Romantic Gesture – A special turndown service that includes flower petals on your bed on the first evening of your honeymoon. Wake up to Wedded Bliss – Delight in a delivery of a decadent breakfast in bed one morning of your choice. We have Preferred Standing with Sandals! Booking your Sandals Honeymoon package with us gives you peace of mind that your reservation is being handled by experts. 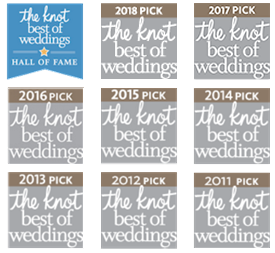 Our long relationship with Sandals, preferred standing and the awards we’ve been honored with over the years prove our dedication to creating perfect, luxury-inclusive honeymoons for our clients. 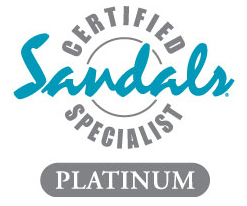 Our agency highly recommends Sandals to all honeymooners since these resorts are the most all-inclusive you can get. All meals, beverages, land sports, motorized & non-motorized water sports, WiFi, golf green fees (where available), SCUBA diving for certified divers, entertainment, airport transfers and tips/gratuities are included. Tipping is actually not allowed at Sandals – which is huge! All of these amenities come with not having to wear a wristband. We had an absolutely fabulous time during our trip to Jamaica. I cannot express how much I appreciate your time and effort to make sure that we selected a resort that would fit both of our personalities. Many times during the honeymoon, Greg remarked how this was the best trip he’d ever had. The resort was wonderful, the food was excellent and our butlers, Paula and Latoya, truly went above and beyond to do everything in their power to make sure our trip was a success. They were both beyond accommodating and on more than one occasion, brought our lunch to the poolside so that we could spend as much time as possible relaxing. Each night, they left touching notes on our bed and the turn down service was always so nice to come in to each evening. I really want to say thank you for the upgrade to first class service on our trip down to Jamaica, that was a first for both of us!